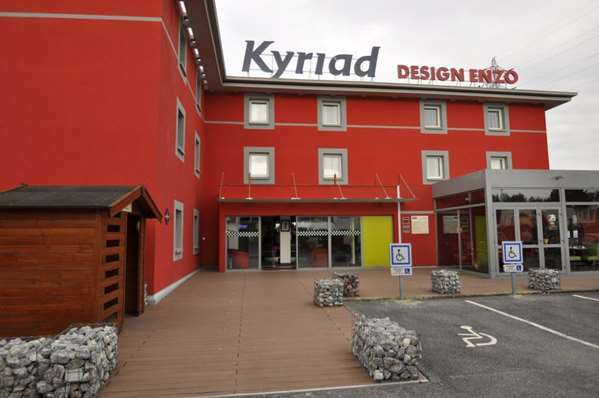 Hotel Kyriad Design Enzo Reims - Tinqueux is easily accessible by highway A4 (a quarter mile from exit 22) and the Reims Centre and Champagne Ardenne TGC train stations (3 miles away). 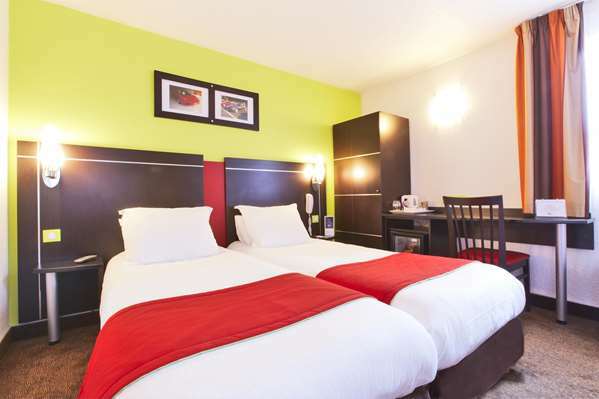 The hotel is an ideal stop for you trips to explore Champagne, 3 miles from the historic city center and the Reims Cathedral, a UNESCO World Heritage site and the famous Champagne Houses. We are under 2 miles from Gueux Golf Course. 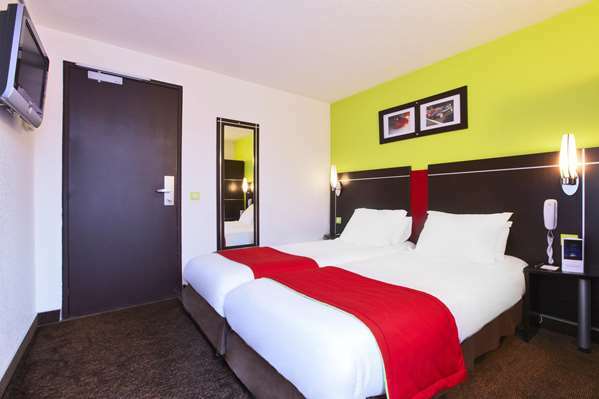 If you are traveling on business, you’ll be happy to know that our hotel is 3 miles from the Reims Convention Center and the main commercial and industrial areas. 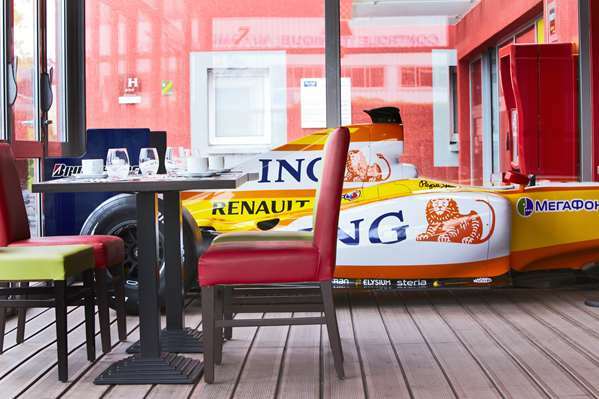 For cultural excursions, Reims offers a wide variety is museums and activities: the car show (Reims Champagne Automobile Museum), the largest lapidary collection in France (Palais de Tau). You can also visit the Champagne Cellars or the Biscuits Fossies Plant where they manufacture the famous pink cookies of Reims. 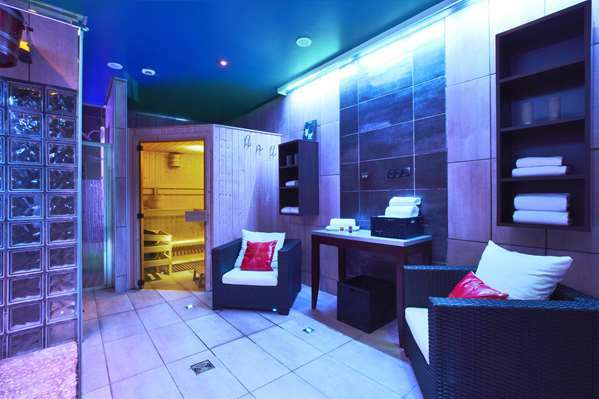 To enhance your stay we have a space dedicated to your well-being with a sauna, steam room and sensory shower. 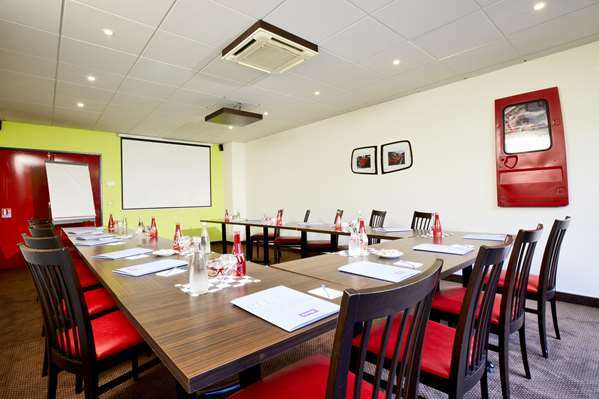 For all your events and seminars, we offer a fully equipped meeting room. 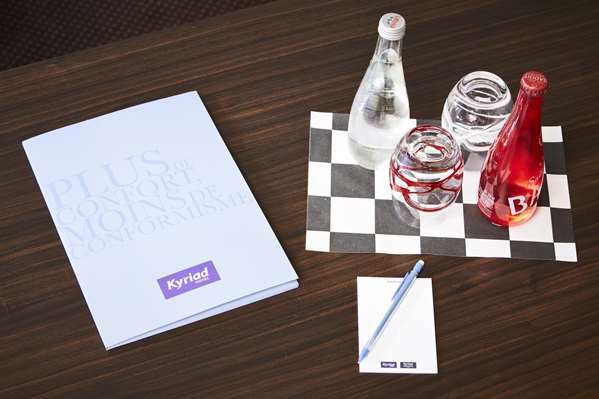 Our friendly and modern atmosphere at Hotel Kyriad Design Enzo Reims Tinqueux makes this the ideal place to stay for your business or tourism travel in Reims. 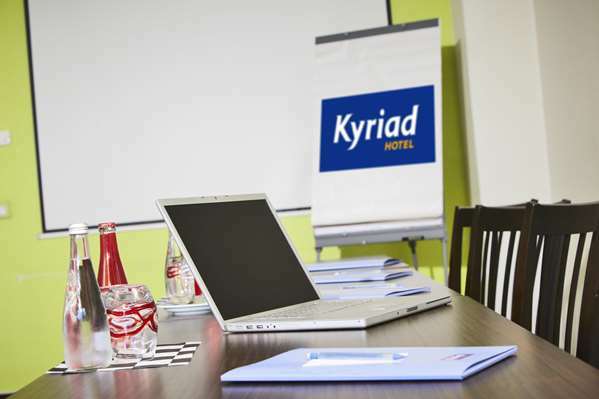 The 48 rooms at Hotel Kyriad Design Enzo de Reims - Tinqueux offer comfort and modernity to make you feel at home. 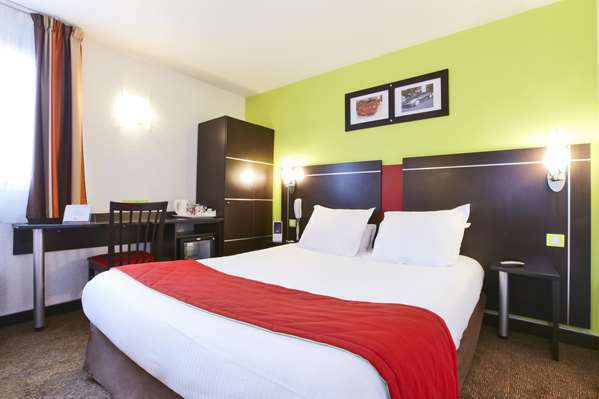 Double rooms, rooms with two single beds and business rooms with a private sitting area are at your disposal. Rooms have a very restful, warm, Wenge style decor, large flat-screen TV, TNT channels, Free Wi-Fi, air conditioning, a safe (big enough to accommodate a laptop), free minibar with drinks and snacks, and a courtesy tray with tea/coffee, designer bedding with a duvet, a bathroom with a large shower and a hair dryer. This breakfast will fix you up for the whole day. 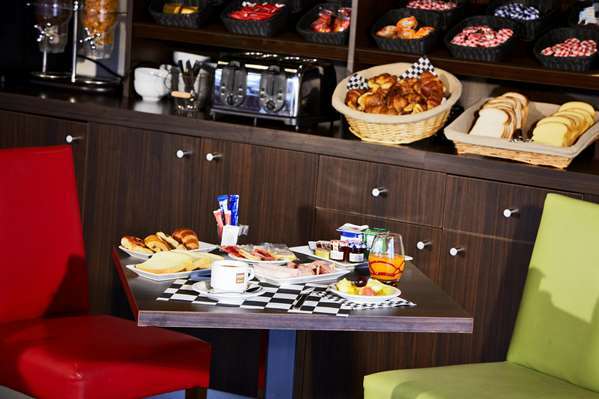 No need to hurry, the breakfast buffet is served from 6:30 am to 10:00 am. 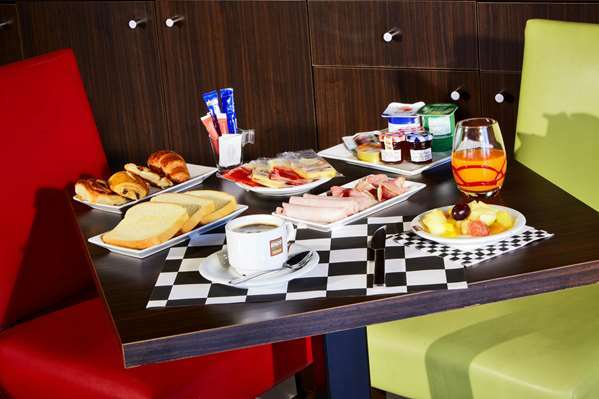 We offer you a very complete buffet formula so that you can make your own breakfast filled with flavors and vitality. 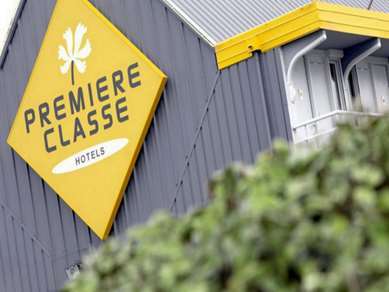 Having booked this hotel through Louvre Group bookings for a party of 32 people travelling in 17 cars (and bearing in mind it was not the hotel in Reims that I asked for) I was very disappointed by the whole package. 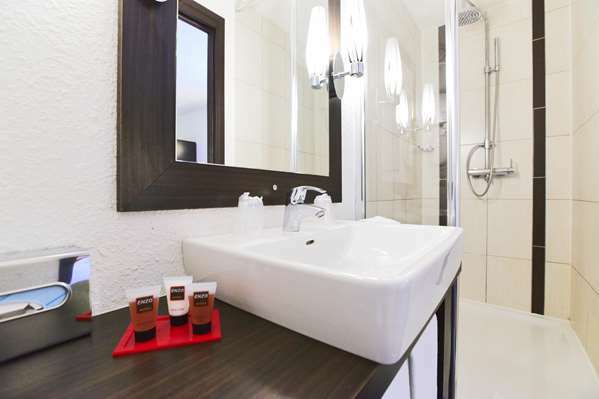 Beyond the fact that the rooms are very small with non-working air-conditioning and tiny bathrooms where the room-staff forget to replace bath towels and help themselves to other guests belongings. The showers in many rooms do not drain but overflow on to the floor. The "bar" had no wine, no spirits, no draught beer, no ice - I believe it ran out of bottled beer too. The security gate doesn't work and the hotel manager has no intention of getting it mended - not reassuring when your party comprises some very valuable cars and the hotel is in the middle of a very rough industrial estate. 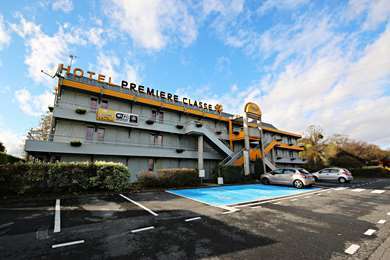 Some of our group went home early rather than face more than one night in this dreadful hotel - the manager's response was a shrug and remind me that the rooms had already been paid for. 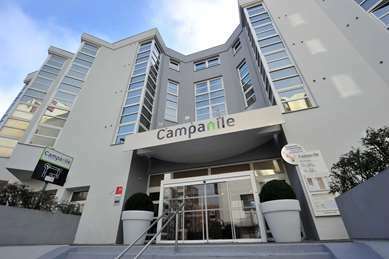 One expects a Kyriad hotel to be a notch up on e.g Campanile but this one was several notches down. 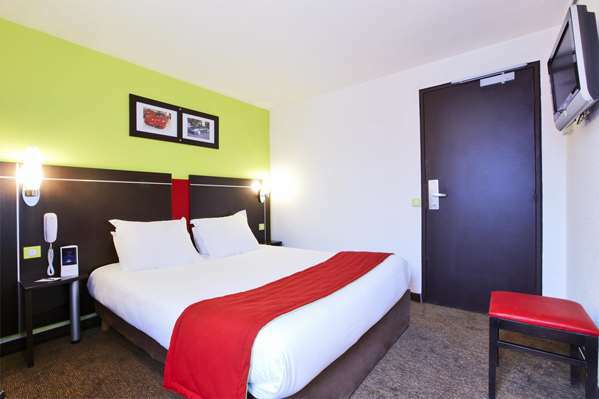 The photo on Tripadvisor title line with the name of the hotel shows how tiny the rooms are! So be warned - that is it! Opened the door and had to edge past the (large) bed to get in. There was one chair and one stool to sit on. The bathroom was very small and I think anyone of a large size would find it very cramped. Furthermore, it had a sliding door (which gives you an idea of the space available!) that did not close properly so rather difficult to maintain your dignity when using the toilet! Also, the toilet seat was hanging off and also the shower did not drain away when used so you slopped about up to your ankles in water. The bed was worn - two indentations in the worn-out mattress and only one pillow per person that were flat as pancakes. 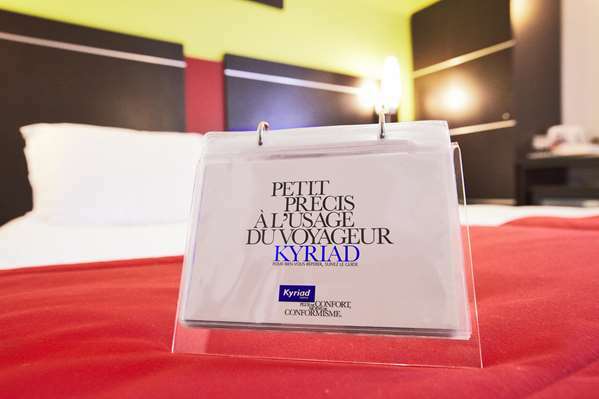 To be honest this is no better than you get at the lowest end of the chain hotel market but you pay quite a bit more for the Kyriad name! 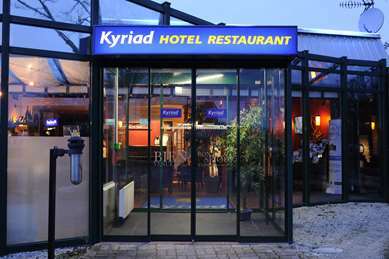 Kyriad used to have a good reputation as a (lower) mid-range hotel but I would never book to stay in any of their hotels again. 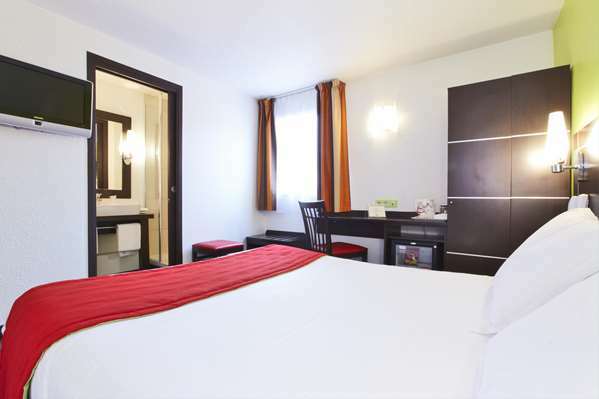 If I want this size of hotel room, in future, I’ll save money and just book at one of their chain rivals where you get the same thing but for 30€ a night cheaper! At least then I would know what to expect and pay the rate appropriate to the room. The only positive was the tea/coffee facilities in the room. 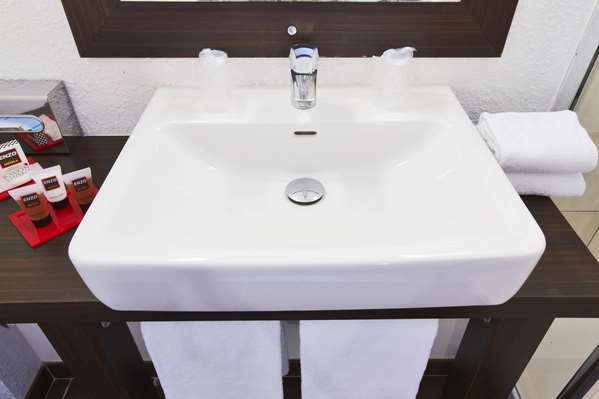 I regularly stop en route from UK to Italy and despite the cheap price have become disillusioned with the lack of comfort and cleanliness in the numerous budget hotels on offer. 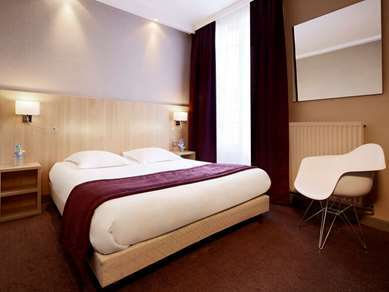 I decide to book two rooms at Kyriad Design Enzo Reims and I have to say for the price I was very pleased. 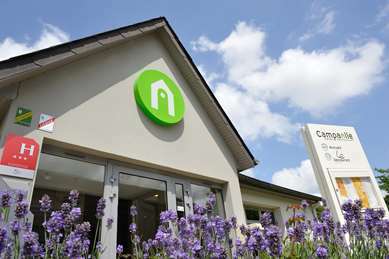 Compared to other budget hotels the bed was very comfortable, there was a fridge in the room, ample tea and coffee and whilst the room was small it was clean and en suite clean with toiletries provided. 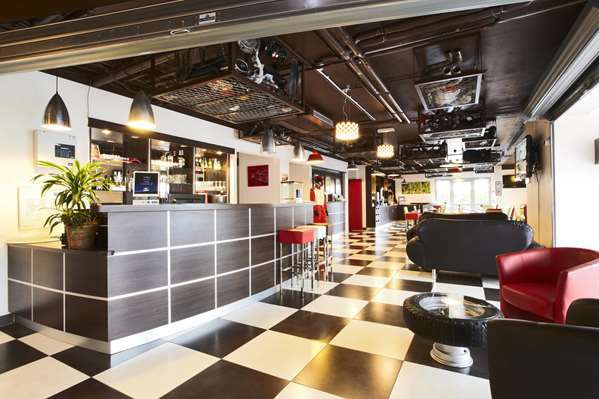 The reception area and hotel are Race Car themed and the reception desk staff very friendly. For the little extra I paid over competition I was very happy and would certainly stay for a stop over. That said it is not the base for a holiday hotel. Great design at the entrance with all the Formula 1 theme..
Free parking is always a bonus! Ground floor rooms are very smelly. Wasn't clean at all. 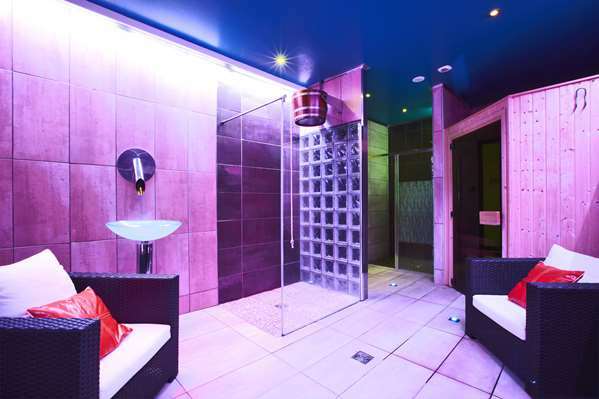 No Sauna like it's mentioned in the details. (was closed and very very smelly and dirty). Overall, seems like this place has a great potential but feels like there's no management at all.. Wont come back.